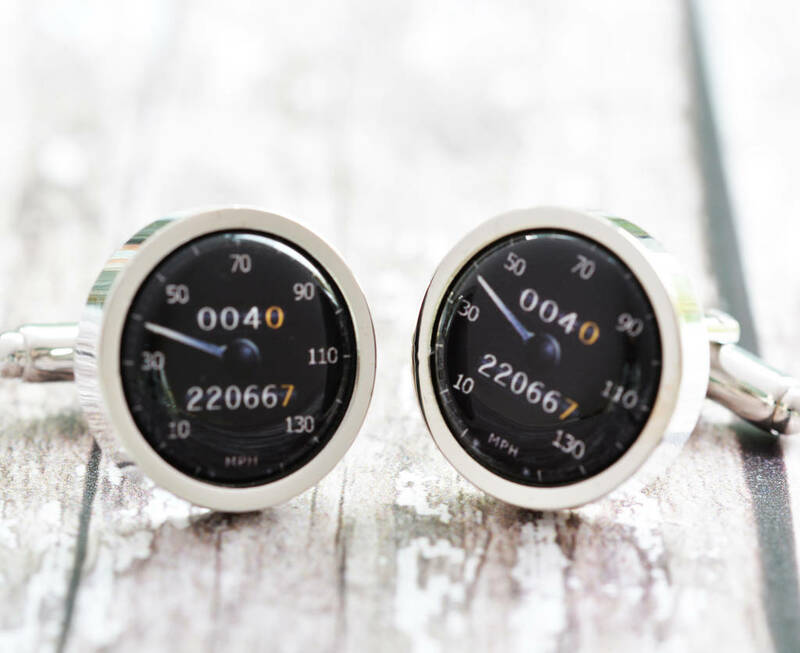 The Speedometer Cufflinks are based on a classic car speedo and can be subtlely personalised with a date and number in the mileage guages. 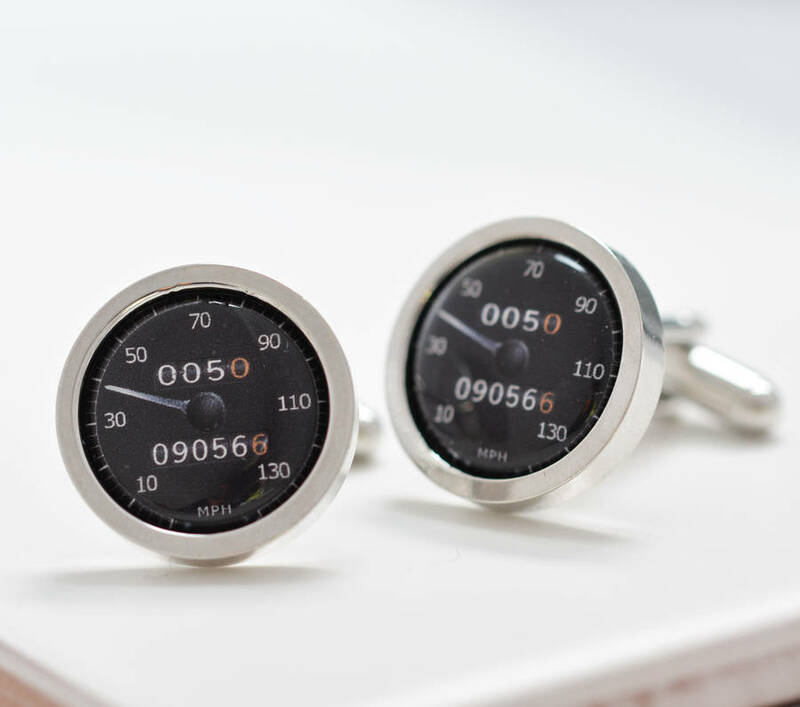 Designed exclusively for Me and My Car the personalised Speedometer Cufflinks make a great gift for any car loving man. A classic design with the additional personalised touch to make them an extra special gift. 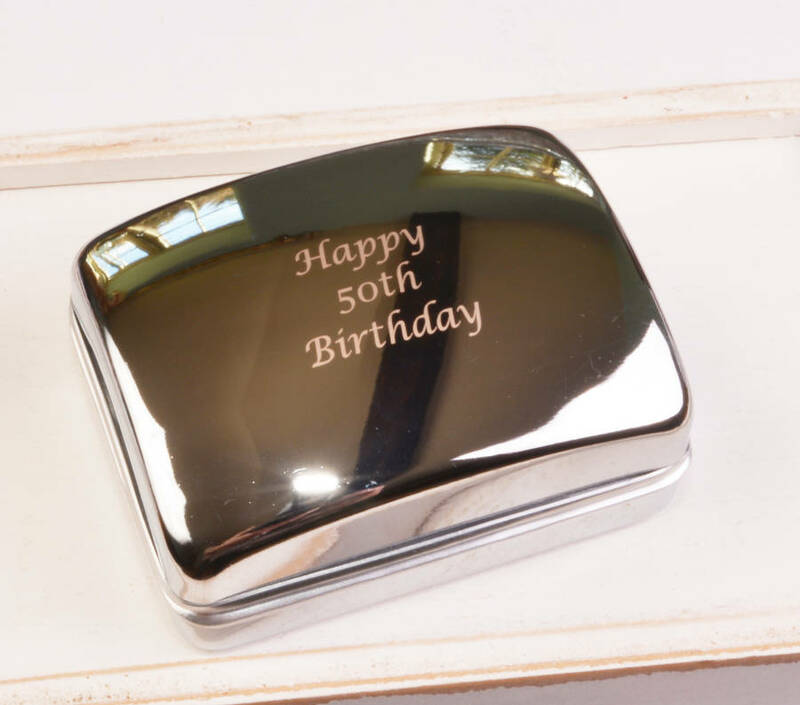 Perfect to celebrate birthdays, Father's Day, anniversaries, passing a driving test or any special date. Made in the UK each set is individually created to ensure that the date appears in the correct proportions and is hand-finished by our specialist jeweller. The mileage guage at the bottom of the speedo has six characters to allow two characters each for the day, month and year (DDMMYY). 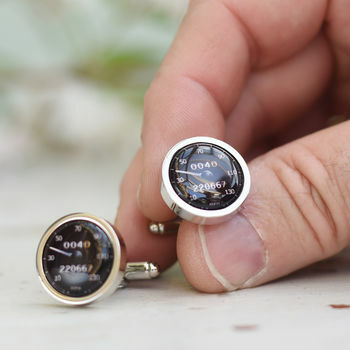 The cufflinks feature the same date on both cufflinks as standard or for an additional charge you can choose to have different details on both cufflinks. 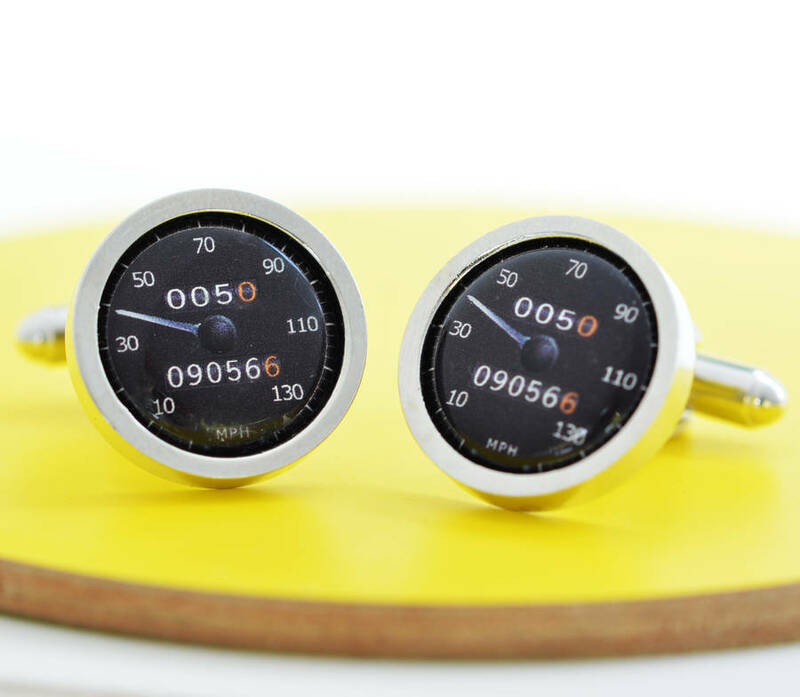 The second mileage guage has four characters at the top and shows zeros as standard but can be personalised for an additional charge, with a second number if required. Previous customers have chosen to include the birthday e.g. 0050 for a 50th birthday. The cufflinks come as standard in a neat black box. 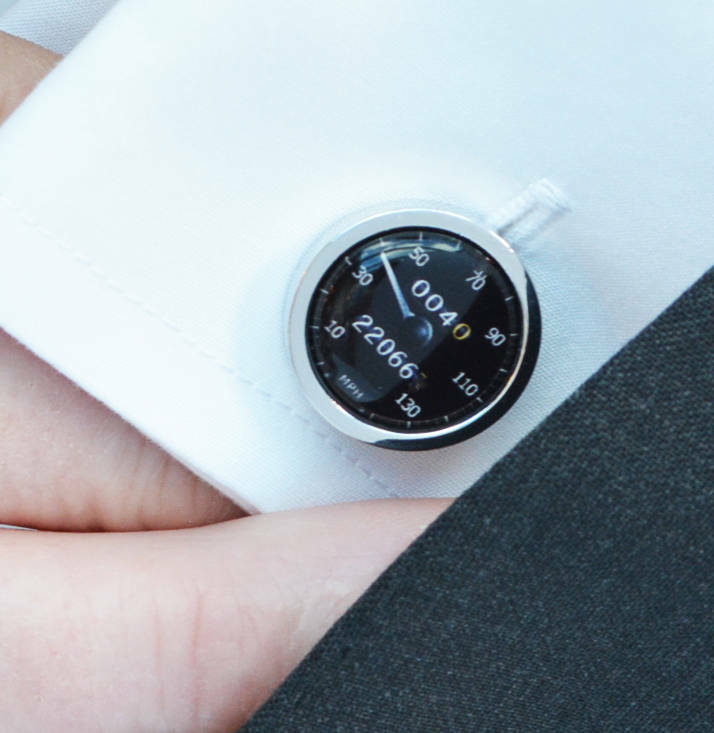 As a personalised product, made especially for you, please note that the cufflinks are non-returnable. Made in England from rhodium plated metal the cufflinks are robust and hard wearing. The speedo is printed on fade resistant paper sealed under resin for long lasting wear. The cufflinks are splash proof but not waterproof so do not submerse in water. This product is dispatched to you by Me and My Car.